Protecting your privacy is very important to us. Therefore, our internet presence is designed that it can, in principle, be used anonymously. We use the information which we receive and save when you visit our websites solely for ABI internal consumer profile insight analysis purposes, such as to improve the design of our websites. We have access to your computer’s IP address for the sole purpose of averting attacks which would negatively affect the functionality of our internet presence (hacker attacks, viruses, denial-of-service attacks, spam). the IP address of the requesting computer (so-called Access Logs), shortened by the last three characters. This website is not intended for people under Legal Drink Age (juveniles who under 18 years old are forbidden to drink alcohol under Chinese law ). Therefore, we perform age checks upon visiting the website. If we later learn that a minor has provided us with personal information, we will delete it. 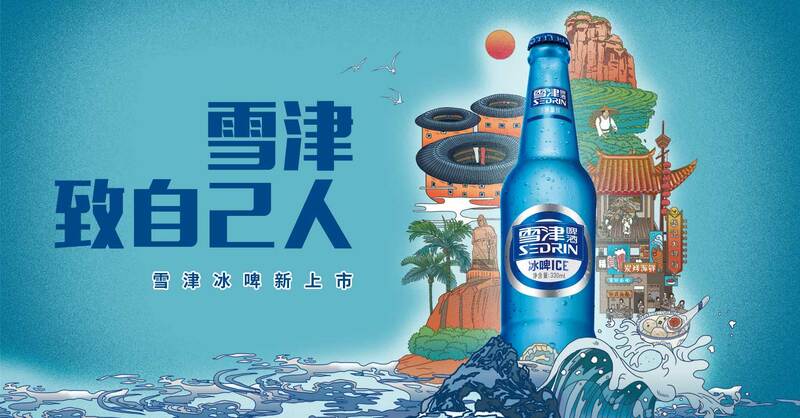 The party responsible for this website is Anheuser-Busch inBev (Sedrin) Co.,Ltd, No.660,Gongye Road,Hanjiang District,Putian,Fujian, 351100,PRC, contactable via 4006-1112-99. Please Contact US if you wish to review the personal data stored with us, if you desire to modify or delete existing data or if you would like to withdraw the consent you have given us. On our website, you have the option of subscribing to our free newsletter. Once you submit the subscription form to us, you will receive a confirmation e-mail from us. Your subscription will be activated only after you have clicked on the link in the confirmation e-mail. You can unsubscribe from the newsletter at any time. To do so, use the unsubscribe function on our websites or the unsubscribe link at the end of each e-mail. Your e-mail address will then be deleted immediately from the distribution system. I agree to receiving advertising from network operator in the form of newsletters. By subscribing to the newsletter, I agree that you may analyse and process my usage behaviour (e.g. clicks onto links) in order to continually improve your service and send me newsletters tailored to my interests. You may withdraw your consent for us to analyse your usage behaviour at any time. We treat your details in strict confidence, and do not pass them to third parties. Cookies are small text files that are placed on your device by websites that you visit. They are widely used in order to make websites work, or work more efficiently, as well as to provide information to the owners of the website. This website uses session cookies to allow you to log into your personalized user account. These session cookies do not remain either on the website or on your device after you close the website. If you do not wish the cookies to be used then please do not use our website as they cannot be turned off for the website to work effectively. Session state of the logged in user – without this cookie the user would have to login to view each page. Please be aware that by visiting our website, that certain data (your current IP address, visited sites, the date and time the website etc.) is forwarded to these social media services even if you are not registered with these services. We have no control over the extent, nature and purpose of such data processing by the social media services.